On Wednesday 13th July, Taiko launched Frushi into Waitrose supermarkets!!! 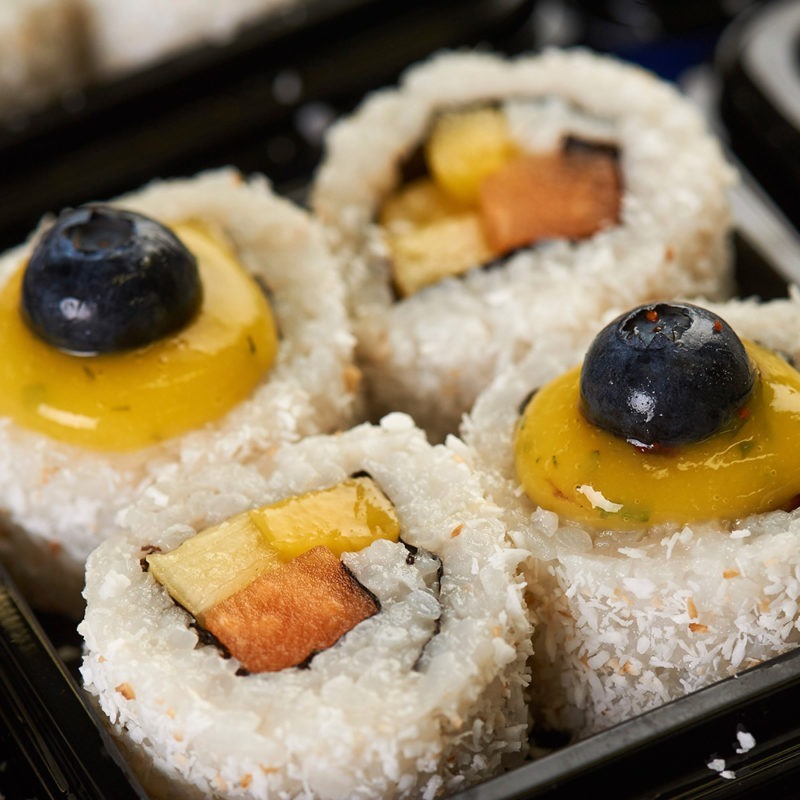 Last week Waitrose were the first UK supermarket to exclusively launch ‘Frushi’ – a new type of sushi made with fruit instead of seafood under the Taiko brand. Taiko will offer four ‘Frushi rolls’ which have delicious fruit centres enrobed with sushi rice and then coated with toasted, desiccated coconut. 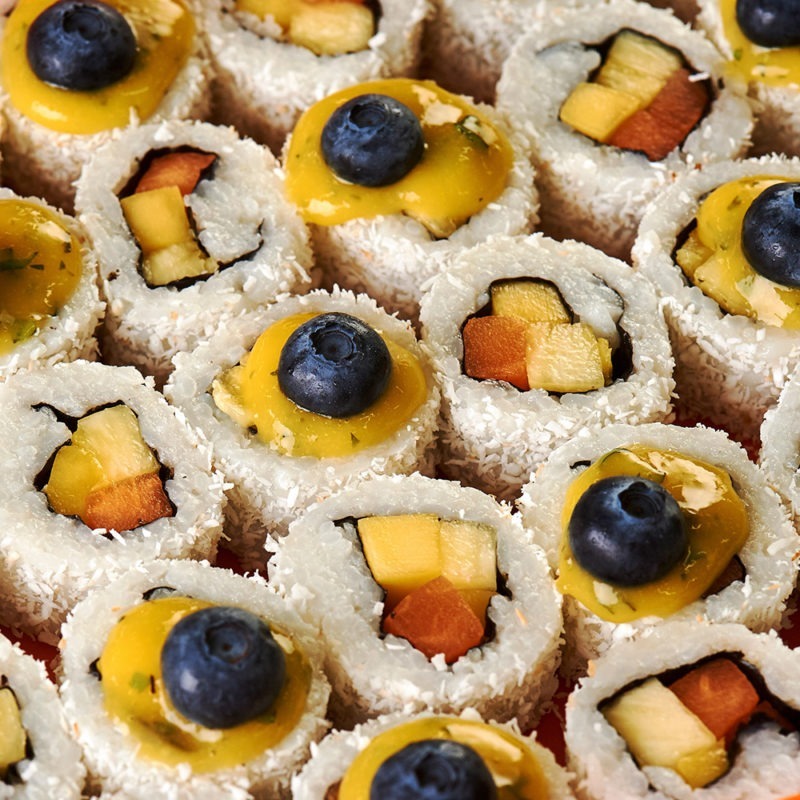 The frushi pack includes two rolls with pieces of melon, pineapple and mango and the 2 remaining rolls include a refreshing fresh mint and mango coulis topped with a blueberry. If you Love Sushi, go ahead and try some Frushi. Have an event to organise?